World War I planes were cantankerous, slow, torque-y, twitchy, primitive airplanes. Executing a tight turn with one is like hauling a sled full of bricks uphill. A dive that gets too steep or too fast can tear your wings off. 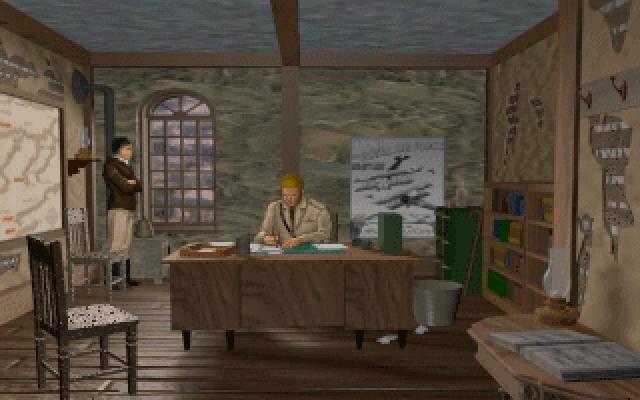 It’s this kind of difficulty that will make you both enjoy and hate Wings of Glory. The game isn’t just a World War I flight sim, but also a carefully crafted homage to the great aerial epics of the past century. From the plot twists to the campy dialog, all of the look and feel of those stirring sagas comes alive on your monitor screen. 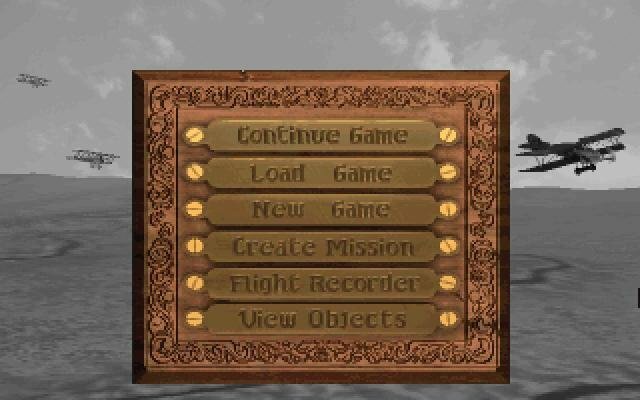 On the simulation side you get four types of practice missions (dogfight, bombing, random, and “gauntlet” — an arcade survival mode) but the heart of the game is its career. 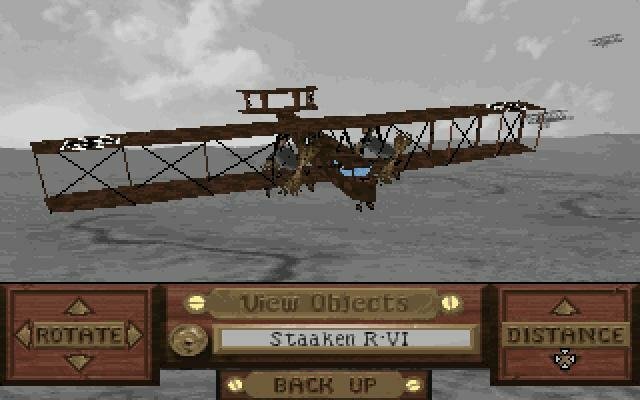 In it, you fly as a newly enlisted American pilot in the Royal Flying Corps at the start of 1917. 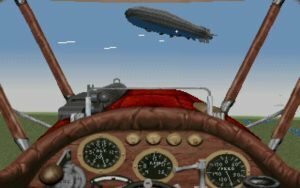 The missions have quite a lot of variety – ordinary dawn patrols that suddenly turn into wild melees, bombing and strafing missions against trains, submarine pens, and German airfields, and — perhaps most fun of all — balloon-busting. Nail a Hun observation balloon, and you’re rewarded with a spectacular blast when the hydrogen blows up. 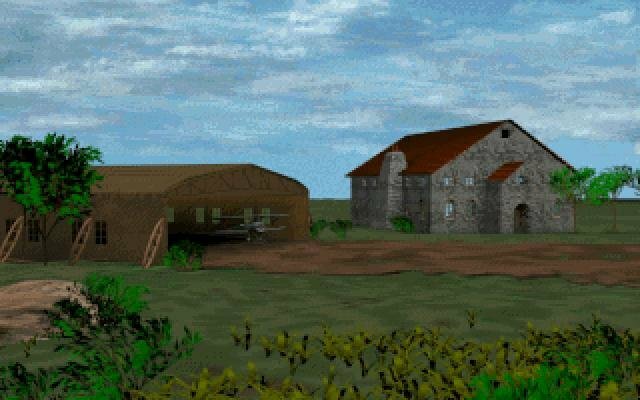 The missions you fly in the game, and the type and quality of opposition you encounter, are dictated by the actual chronology of the war. 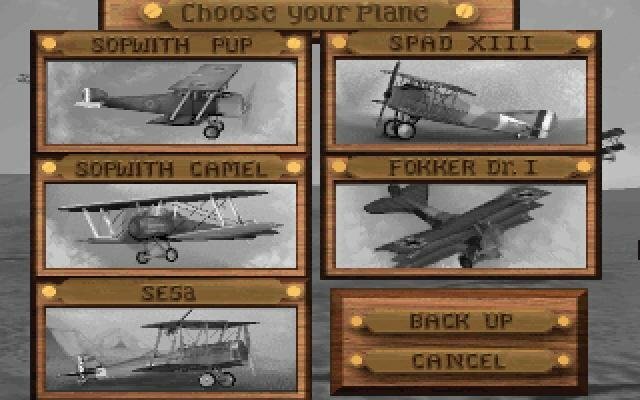 If you survive long enough, you’ll get to fly five types of aircraft: the Sopwith Pup, the S.E. 5a, the Sopwith Camel, the Spad, and a captured Fokker triplane. 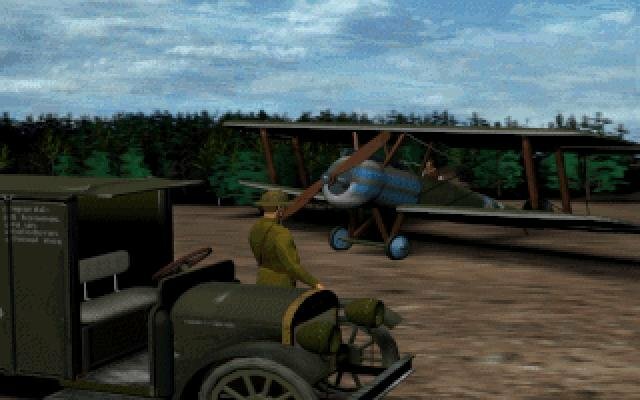 Origin has taken great care to model the distinctive flight characteristics of each plane — and for players who have spent time with the relatively smooth and forgiving flight models in Red Baron, the first few missions in Wings of Glory will prove both illuminating and frustrating. 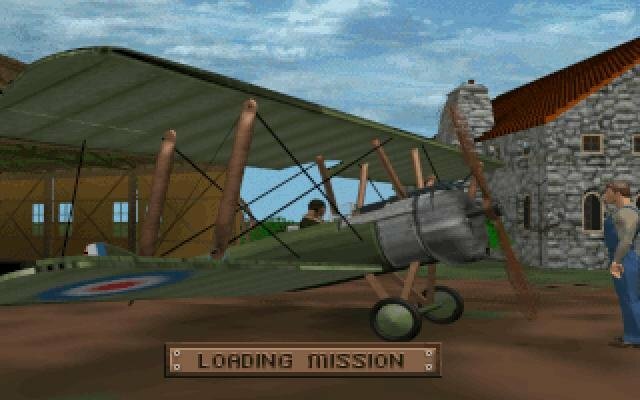 You’ll discover, for instance, that a Sopwith Pup can turn better than most of its opponents, but climbs like a log. And the S.E. 5a loops well, but does not like to turn at all except at high altitudes. Sometimes, your Hun adversaries will try to lure you into low-altitude dogfighting, and if you’re flying an S.E. 5a, you better not be dumb enough to fall for it. 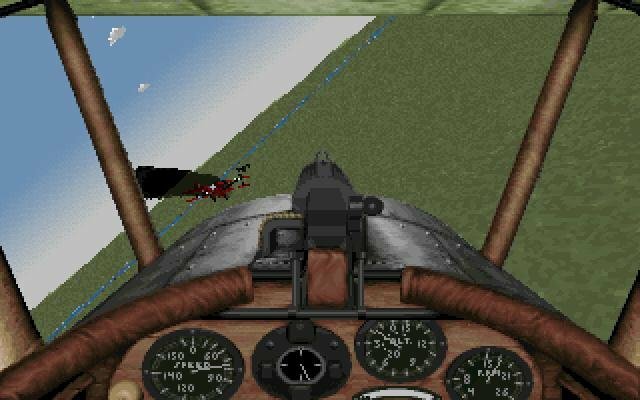 Aerial combat in this game is intense and close-range. Rarely will you do more than nick your target at ranges exceeding 100 yards. 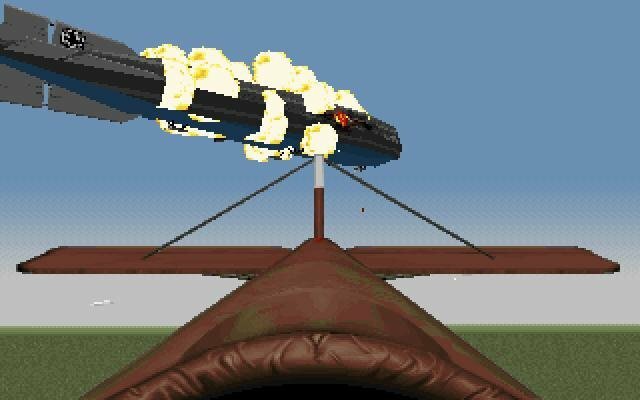 At the really lethal range of 50 yards, however, the dramatic and visual payoff for all that intense turning and rudder-pumping is terrific: pieces of fuselage and wing fly off, streamers of fuel and coolant pour forth, followed usually by dense smoke, and, if you nail the enemy pilot at close range, you hear a blood-curdling scream.